I’ve been on a makeover mission to have my house look as pretty and welcoming as possible for my summer guests. This small bathroom off the hallway gets the most use, so it was at the top of my list. 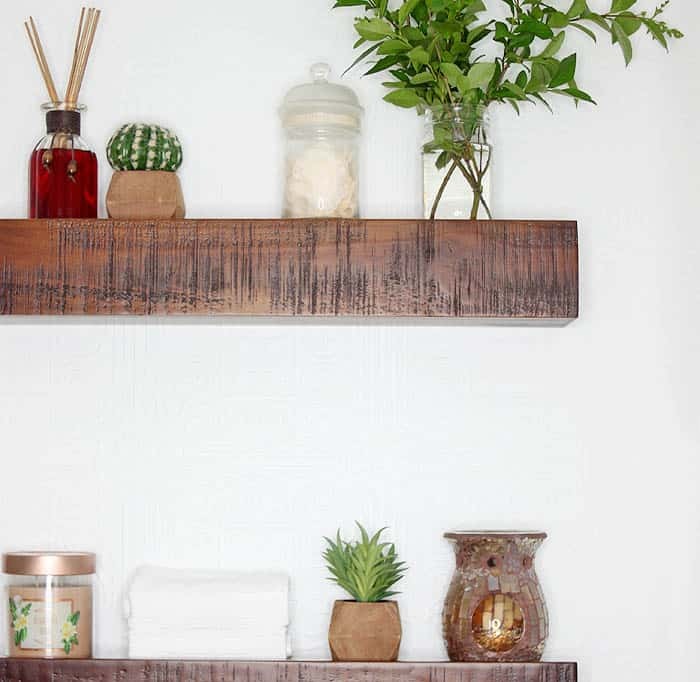 Room “Refreshes” are a quick and easy way to transform a space. 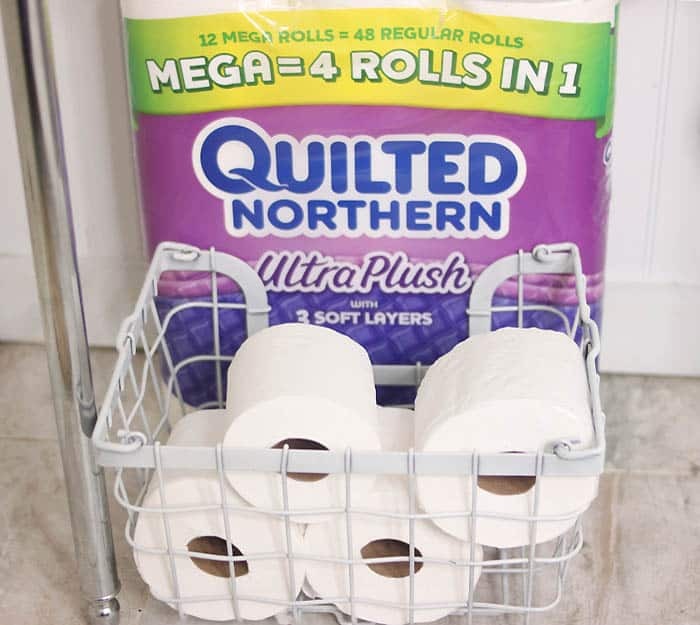 I teamed up with Quilted Northern® Mega Rolls to give my hall bathroom a makeover with products exclusively from Target! The bathroom looked kind of cold and sterile. I wanted to add some warmth and charm so farmhouse style was the obvious choice! I also wanted to address the storage issue. The console sink provided zero space. The big, empty area on the side wall was just begging for some shelves! 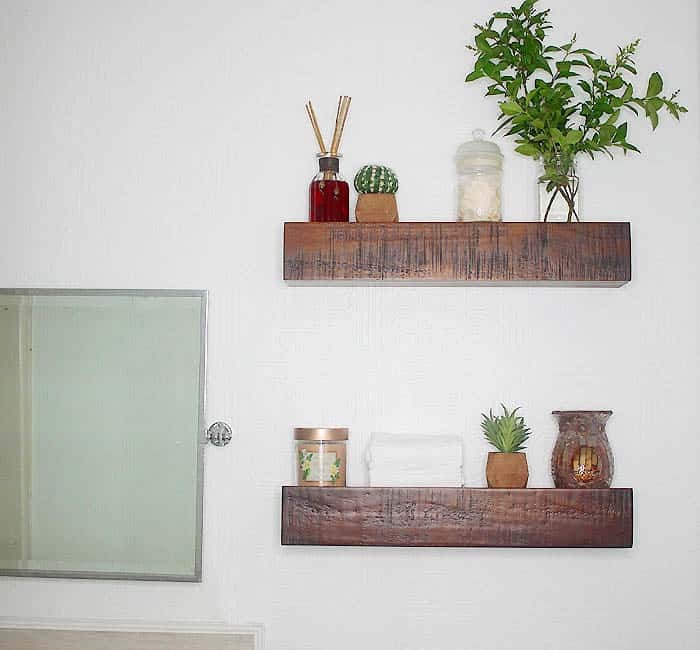 These shelves were perfect for filling up the blank space on the wall and addressing my storage issue. The dark wood added instant warmth to my white bathroom. I found the majority of these items, not in the Bath aisle but in Home Accents. There’s not enough natural light in this bathroom for a real cactus so I bought these artificial ones. They look so good, everyone thinks they’re real! I added a metal basket filled with Quilted Northern Mega Rolls in the nook next to the wall. 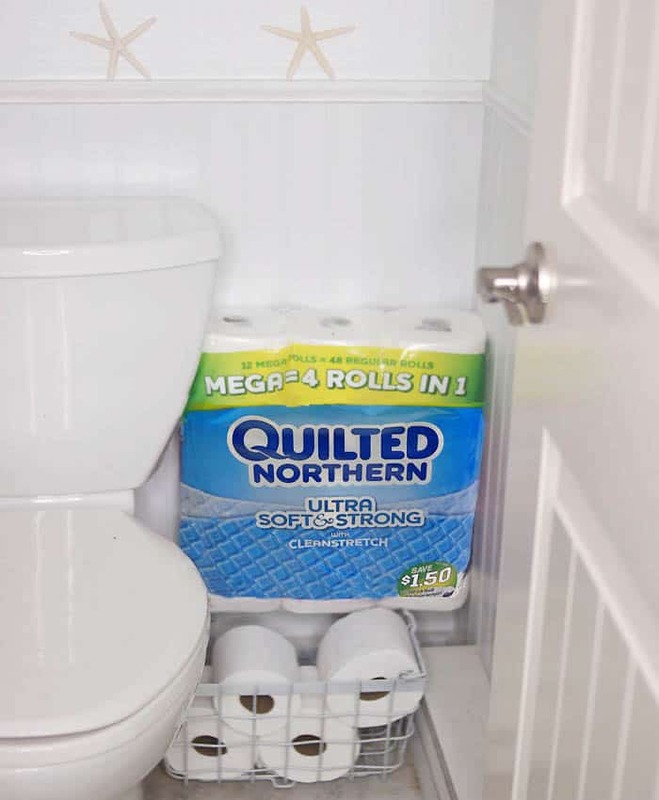 Quilted Northern Mega Rolls are 4 regular rolls in one – so they last longer and you change rolls less frequently. I’m always on board with anything that reduces my number of chores! The roll also looks full and plush on the holder which is a nice luxe touch. 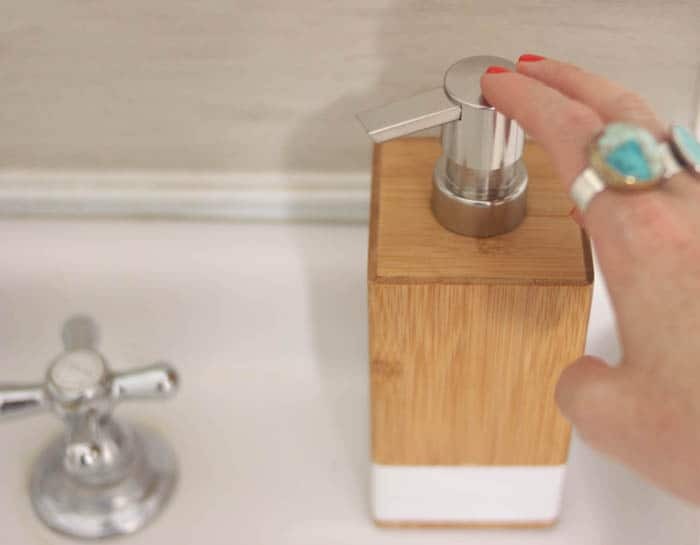 I swapped out my plastic soap holder with this rustic meets modern wood one. It looks so much better! 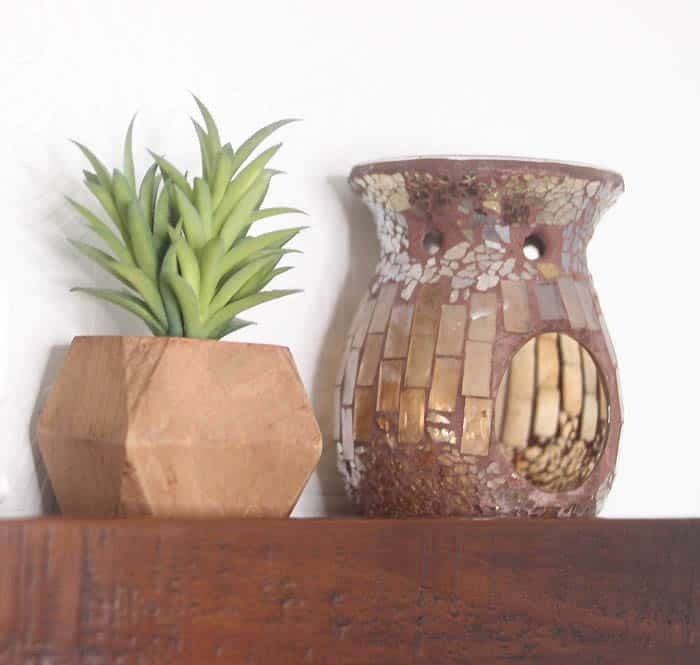 Decanting household products into pretty containers is one of my favorite ways to make an area look upscale on a budget. I finished off the styling with a couple of fluffy washcloths and an amazing smelling diffuser. 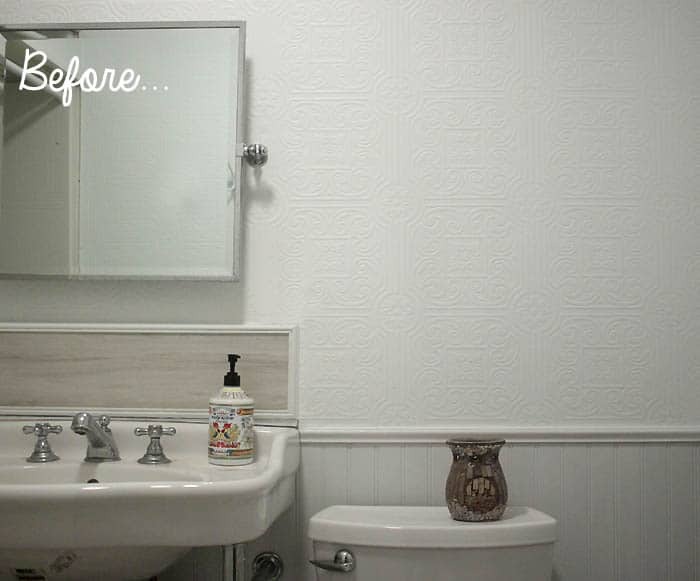 I’m really happy with the way this bathroom refresh turned out. It was the perfect finishing touch! 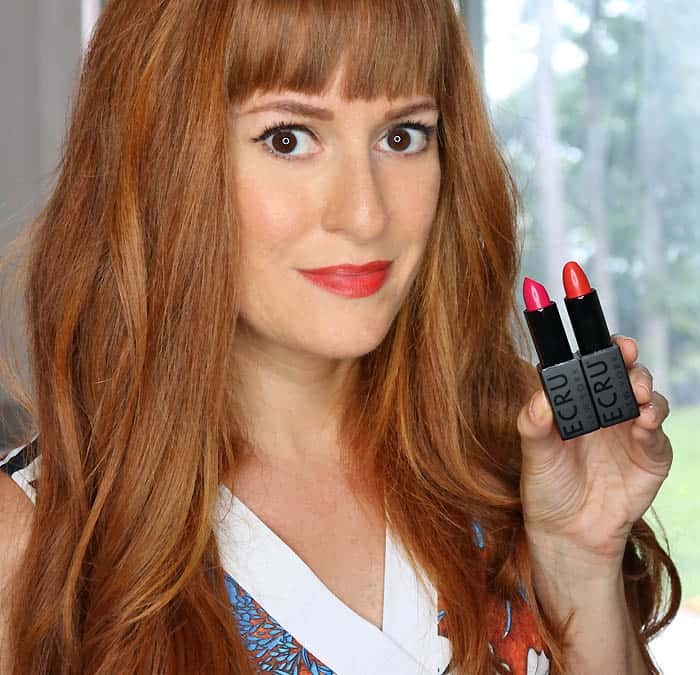 Next time you’re in Target (which, if you’re like me, is all the time!) 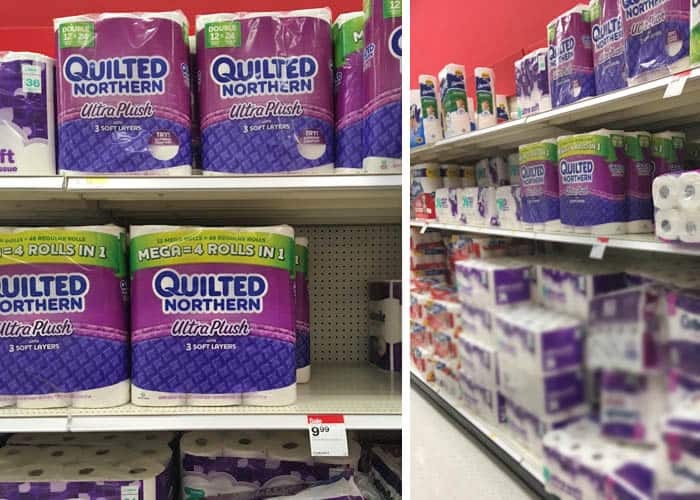 be sure to swing by the household essentials aisle to pick up some Quilted Northern Mega Rolls. Don’t forget to check out Target’s chic home decor items for your own bathroom refresh! 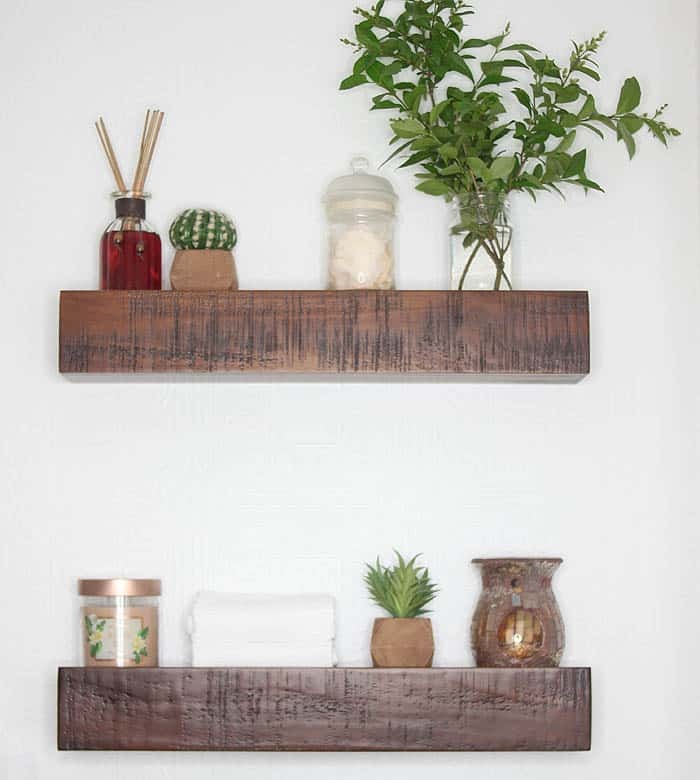 What are your favorite ways to refresh a room? I’d love to hear!